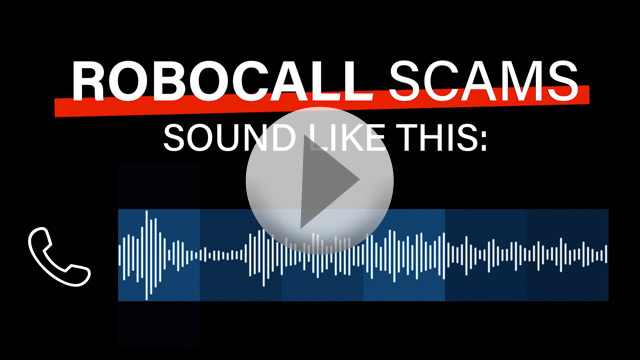 The post What to do About Robocalls appeared first on Personal Finance Syndication Network. During Financial Literacy Month in April, the CFPB joins the Chicago Federal Reserve Bank in celebrating Money Smart Week (March 30-April 6). This event is a great opportunity to teach consumers how to be smarter with their money. Various Money Smart Week activities—like free financial education classes and seminars—are offered by local and regional organizations across the U.S. Libraries all over the country have activities to help you get smart about money during that week. Check with your local library or Money Smart Week online to find events in your area. This year’s Money Smart Week theme focuses on helping parents and caregivers teach their children about money management. The CFPB’s Money As You Grow website has tips and activities to grow children’s money skills, habits, and attitudes. Our Money As You Grow Bookshelf is a financial education program that uses children’s books to help families talk about and learn money concepts. As families read together, they can use play time and fun activities to help children build good money habits. And parents can use these activities to talk with children about money and household decisions. The post Get Money Smart during Money Smart Week appeared first on Personal Finance Syndication Network. Should I use credit to buy this? What steps can I take to build good credit? How do I make sure my credit report is accurate? How do I get errors in my credit report fixed? What do I do if I’ve been a victim of identity theft? Who else can I turn to for help? Over the past three years, the Bureau has responded to the issue of credit invisibility, defined as having a lack of credit or a limited credit history. This effort includes talking to stakeholders, convening leaders in the field, conducting research, developing resources such as city and state credit profiles, and tools to equip communities in their efforts to help more consumers manage their credit and achieve their financial goals. The Bureau has released a number of resources to highlight credit invisibility and the range of barriers consumers face in accessing credit, and are now offering this new booklet to the suite of tools to help consumers manage their financial lives. Your credit reports and scores have a major impact on your financial opportunities. Bureau resources can help you better understand your credit reports and scores, learn how to correct inaccuracies, and improve your credit record over time. Having a positive credit record can help you reach your goals by potentially lowering the costs of borrowing money and can also reduce barriers to housing and employment. Our new booklet, Want Credit to Work for You? will set you up for success by providing information and tools to begin your credit journey on the right foot. But if you run into obstacles along the way, the booklet provides straightforward guidance, tools, and resources to get back on track. Order your free booklets here today so you have a copy in time for the webinar. They should arrive in three to four weeks. The post Get Your Credit on Track with This New Booklet appeared first on Personal Finance Syndication Network. I have a 2008 Chrysler Sebring I bought from CarHop that is in every way a piece of junk. I haven’t driven it in over 3 months as the transmission is out after getting replaced just recently. I want out of the loan, I mean out. I want them to take back the car and close the account on our credit report. How can I force CarHop to take back the car and close the account on our credit report? You have a few choices on how to deal with this. File Bankruptcy – You have the legal right to hand the car back to the lender and file bankruptcy to terminate any further obligation on the car and loan. Lemon Laws – Your state may have a tough Lemon Law that may provide you some recourse with the seller. Federal law has some rules regarding express or implied warranties. In fact just today I saw a lawsuit by someone against their car dealer claiming a violation of the Magnuson-Moss Warranty Act. I would advise you to find a lawyer who is licensed in your state for assistance. One place to look is here. Negotiate With Seller – You can always attempt to resolve disputes with the seller directly and see if you can come to an acceptable compromise to deal with the solution. If you just get mad about the situation and stop making the payments or hand the vehicle back the lender will most likely sell the vehicle at auction for a small amount and then sue you for the balance due on the loan. They can go for a judgment and wage garnishment. There is no pain-free or easy way to deal with the situation. There certainly is no process that will let you hand the vehicle back and have the transaction removed from your credit report. However, bankruptcy may be the least expensive way to get maximum legal protection quickly and for a reasonably affordable cost overall. The post How Can I Force CarHop to Take Back My Car and Cancel the Loan? appeared first on Personal Finance Syndication Network. An interesting lawsuit was filed by a consumer in Alabama against Select Portfolio Servicing, Jared Galleria of Jewelers, Prestige Financial Services, Experian, Equifax, and Trans Union. What is interesting about the suit is the description of the broken and defective credit report dispute process of inaccurate information. Many of us have experienced such issues firsthand. And it is no surprise credit report disputes often go into a black hole. Years ago one person who worked at a bank told me she didn’t want to waste time doing disputes so she marked them all verified. I’ll let you read the alleged reported facts from the suit. 20. Credit-reporting agencies collect information from furnishers like SPS, Jared, Prestige, other creditors, governmental entities, collection agencies and third-party intermediaries. They generally collect data every month, and they typically update their credit records within one to seven days after receiving new information. To facilitate the collection process and to reduce reporting costs, the CRAs have implemented procedures to have data submitted in a standard format, the so-called Metro format. Data may be submitted through various media, including CD-ROM and electronic data transfer. Furnishers like SPS, Jared and Prestige submit information voluntarily. No state or federal law requires them to report data to the CRAs or to use a particular format for their reporting. As a result, the completeness and frequency of reporting by furnishers can vary. 21. A credit score is a number that summarizes credit risk, based on a snapshot of a consumer’s credit report at a particular point in time. Credit bureau based scores have been available since 1989 when Fair Isaac and Company, installed its first “FICO” score at Equifax. Credit scores summarize the information on a consumer’s credit report. The score is designed to be predictive of credit risk and is used by lenders and insurance companies. FICO scores, which are the industry standard, are calculated from different credit data variable groups. 22. Every day thousands of consumer disputes are received and processed by the National CRAs: Equifax, Trans Union and Experian. These disputes are received via phone, mail or online through the Internet. Each credit-reporting agency is obligated by the FCRA to conduct a reasonable investigation of the disputed item(s). 23. The bureaus and the data furnishers are obligated under the FCRA to ensure that they have reasonable procedures in place to ensure maximum possible accuracy of the credit file data. 24. When a consumer contacts the credit bureaus, the bureau will typically send an Automated Consumer Dispute Verification form (hereafter “ACDV”) electronically through a system called e-Oscar, to the data furnisher for verification of the item in question. 26. Upon receiving the ACDV through e-Oscar, the furnisher is required to conduct its own investigation and send a response back to the CRAs. The dispute can be verified as reported, changed/updated or deleted. 27. The results of the investigation are then updated on the credit report by the CRAs and either mailed or emailed back to the consumer. This process can take up to 30- 45 days to complete but it typically takes less than 30. 28. Either because of time, cost, or volume of disputes, the CRA’s have adopted an investigation procedure that involves condensing a consumer’s dispute to a 2 to 3 digit code that is sent electronically to the data furnisher. Sometimes, the CRA’s also provide images of the actual dispute letter sent by the consumer to the CRAs. 29. Unfortunately, the data furnisher almost always performs its investigation based only on this 2 or 3 digit code and quickly verifies its previous data to the CRA’s without performing any real investigation. In fact, these investigations are often conducted in under three minutes by low level back office employees who are often compensated based upon the number of disputes they can process per day. 30. The CRAs then rely solely on the results of the data furnisher’s investigation without performing any independent investigation. 31. This investigation method is known as “parroting” and no independent analysis, evaluation or reasonable investigation is ever performed by the CRAs. 32. SPS, Jared and Prestige are “furnishers” and regularly furnish informationabout consumers, including the Plaintiff, to CRAs including, Equifax, Experian, Trans Union and Innovis. 33. Within two years prior to the filing of this lawsuit, Plaintiff repeatedly requested and received copies of the credit file of the Plaintiff compiled and maintained by Equifax, Experian and Trans Union. 34. Each credit report received by the Plaintiff contained errors and each CRA furnished Plaintiff’s credit reports to 3rd party credit granting entities after receiving her disputes. 35. Two of the most egregious inaccuracies reported by Experian were furnished by SPS and Jared. 36. The inaccuracy furnished by SPS and reported by Experian was that Plaintiff had an open mortgage loan with a balloon payment of $220,580.00 due in 2036. This information was inaccurate because Plaintiff satisfied and paid in full this account as part of a sale transaction on or about November 30, 2015. 37. Plaintiff disputed the SPS inaccuracy with Experian multiple times. Plaintiff’s letters disputing this inaccuracy were either mailed or faxed to Experian. 38. Experian’s response to Plaintiff’s first and second dispute letter was to simply inform her that the information had been verified as accurate. 39. Experian’s response to Plaintiff’s third dispute letter was to actually add a past due balance of $25,806 and total balance owed of $329,928 to the account information included on the report. 40. Plaintiff disputed the SPS inaccuracy contained in the Experian report directly with SPS multiple times. Plaintiff disputed the SPS inaccuracy in the Experian report directly with SPS via a phone call on December 5, 2018. Plaintiff subsequently disputed the SPS inaccuracy in the Experian report directly with SPS again via email on December 5, 2018. SPS never responded to Plaintiff’s phone and email disputes. 41. SPS failed to correct the egregious inaccuracies it furnished to Experian. 42. The inaccuracy furnished by Jared in the Experian report was that Plaintiff had an unpaid charge off balance. The information furnished by Jared was inaccurate and misleading because it did not reflect that Plaintiff paid Jared directly and settled the account for less than the full balance on or about March 29, 2017. 43. Plaintiff disputed the Jared inaccuracy with Experian multiple times. Two of the letters Plaintiff sent disputing this inaccuracy were sent in June 2017 and November 2018. 44. Experian’s response to all three of Plaintiff’s disputes regarding the Jared inaccuracy was to simply inform her that the information had been verified as accurate. 45. Upon the Plaintiff’s request for verification and correction of the SPS and Jared inaccuracies, and in accordance with their standard procedures, Experian did not evaluate or consider any of Plaintiff’s information, claims or evidence and did not make any attempt to substantially or reasonably investigate the disputed inaccuracies. 46. It is alleged that that Experian failed to contact SPS and Jared. Alternatively, it is also alleged that Experian did forward some notice of the disputes to SPS and Jared and both SPS and Jared failed to conduct their own lawful investigations. 47. The SPS and Jared inaccuracies are damaging and derogatory items on the Plaintiff’s Experian credit report. 48. Two of the most egregious inaccuracies reported by Equifax were furnished by Jared and Prestige. Plaintiff had an unpaid charge off balance. The information furnished by Jared was inaccurate and misleading because it did not reflect that Plaintiff paid Jared directly and settled the account for less than the full balance on or about March 29, 2017. 50. Plaintiff disputed the Jared inaccuracy with Equifax multiple times. Two of the letters Plaintiff sent disputing this inaccuracy were sent in June 2017 and November 2018. 51. Equifax’s response to Plaintiff’s first and second dispute of the Jared inaccuracy was to simply inform her that the information had been verified as accurate. 52. Equifax simply did not respond to Plaintiff’s most recent dispute of the Jared inaccuracy. 53. The inaccuracy furnished by Prestige and reported by Equifax was that Plaintiff had two delinquent Prestige accounts. This was inaccurate because Plaintiff only ever had one account with Prestige. The second account was an inaccurate duplicate. 54. Plaintiff disputed the Prestige inaccuracy with Equifax multiple times. The most recent dispute was mailed to Equifax in November 2018. 55. Equifax simply did not respond to Plaintiff’s most recent dispute of the Prestige inaccuracy. 56. Upon the Plaintiff’s request for verification and correction of the Jared and Prestige inaccuracies, and in accordance with its standard procedures, Equifax did not evaluate or consider any of Plaintiff’s information, claims or evidence and did not make any attempt to substantially, or reasonably verify the Jared and Prestige disputed inaccuracies. 57. It is alleged that Equifax failed to contact Jared and Prestige. Alternatively, it is also alleged that Equifax did forward some notice of the disputes to Jared and Prestige and both Jared and Prestige failed to conduct their own lawful investigations. 58. The Jared and Prestige inaccuracies are damaging and derogatory items on the Plaintiff’s Equifax credit report. 59. The most egregious inaccuracy reported by Trans Union was furnished by Jared. 60. The inaccuracy furnished by Jared and reported by Trans Union was that Plaintiff had an unpaid charge off balance. The information furnished by Jared was inaccurate and misleading because it did not reflect that Plaintiff paid Jared directly and settled the account for less than the full balance on or about March 29, 2017. 61. Plaintiff disputed the Jared inaccuracy with Trans Union multiple times. Two of the letters Plaintiff sent disputing this inaccuracy were sent in June 2017 and November 2018. 62. Trans Union’s response to all of Plaintiff’s disputes of the Jared inaccuracy was to simply inform her that the information had been verified as accurate. 63. Upon the Plaintiff’s request for verification and correction of the Jared inaccuracy, and in accordance with its standard procedures, Trans Union did not evaluate or consider any of Plaintiff’s information, claims or evidence and did not make any attempt to substantially, or reasonably verify the Jared disputed inaccuracy. 64. In the alternative to the allegation that Trans Union failed to contact Jared, it is alleged that Trans Union did forward some notice of the disputes to Jared and Jared failed to conduct its own lawful investigation. 65. The Jared inaccuracy is a damaging and derogatory item on the Plaintiff’s Trans Union credit report. The post Parroting, Credit Report Disputes, and Other Credit Report BS appeared first on Personal Finance Syndication Network. Have checked with credit Counselor’s who offered a DMP we couldn’t afford, bankruptcy attorney, (chapter 13) payment plan we can’t afford. Tried resolving with creditors on our own, again can’t afford. So, what’s next? Do we just not pay and hope for the best? We are at the end of options. Just hard to believe there’s not an answer. However, considering there are alternative points of view here I hope you can ingest what I have to say. It is entirely possible that the leading ways to deal with your debt are unaffordable. But that does not mean you are out of options. The first and least popular option would be to downsize your life and reduce your expenses to allow you to make ends meet. The second option is to focus on increasing income or a combination of reducing expenses and increasing income. The final option is something that is best dealt with using a custom approach where you make informed decisions about defaulting on one debt over another and then later attempt to resolve the debt. Of course, there will be credit impacts, potential tax consequences, and the possibility of being sued. I would agree that there may not be any “perfect” options, but you still do have choices you can make and solutions you can implement. While you have talked to the major niche providers of credit counseling, bankruptcy, and settlement; what you have not done is talked to someone who can help you create a personalized solution that may involve a little of each approach. The individual niche providers are generally trying to sell you their solution as the sole tool to solve your problem. Think about it like this, you may need a hammer to fix your problem but there are 40+ types of hammers for different situations. A professional craftsman knows which hammer to use and where and when to use it. You are probably best off talking with a debt coach like Damon Day to come up with a more holistic solution based on your situation and goals. Don’t throw in the towel yet. The post There Are No Solutions For Us to Get Out of Debt That We Can Afford appeared first on Personal Finance Syndication Network. Recently I wrote Will the Holder Rule Help Me With My Student Loan Debt? and most people are unaware how the Holder Rule may apply if you purchased financed services from one entity and financed it with another. I think this has some big potential in student loan defense but that will have to be developed. Attorney Nathan DeLadurantey from Wisconsin has had experience in using the Holder Rule, or the Wisconsin version of it when assisting consumers. Here is what Nathan offered to help explain the Holder Rule. “What happens if you get sweet-talked into a loan or transaction – and were lied to as part of that transaction? For example, someone convinces you to enter into a student loan and they falsely inflate your income to lend you more than you can afford? Or, they sneak in a bunch of one-sided terms that violate your rights under Wisconsin law? After people have been defrauded by a company that lent them money – they quickly realize the loan has been transferred to a different company. The legal question that surfaces is this: can Clueless Company be held responsible for the actions of Fraudulent Lender? The good news is that in Wisconsin (the general rule) is yes, Clueless Company can be held responsible for the original actions of Fraudulent Lender. Wis. Stat. 422.407(1) (With respect to a consumer credit transaction…an assignee of the rights of a creditor is subject to all claims and defenses of the customer against the assignor arising out of the transaction…). This happens because Clueless Company “steps into the shoes” of the original lender. I like this phrase, because it paints the picture of what’s going on: Clueless Company is literally standing in the place of the original Fraudulent Lender. In legal jargon, we call the second company the “holder” or “assignee” of the original loan. So you’re not out of luck just because you took out a loan with a company that transferred it to someone else. If the original lender violated your rights under the Wisconsin Consumer Act, you may be able to sue the new company that’s collecting from you. Like all laws, the provisions that let you go after Clueless Corporation certainly have a few loopholes. But pick up your phone (or go online) and call a consumer lawyer for a free consultation. So there you go, some great advice from Nathan DeLadurantey to help explain or demystify the Holder Rule and the specific corresponding statute in Wisconsin. If you don’t live in Wisconsin then you should talk to a consumer attorney who is licensed in your state to discover what specific similar law you may have and how they can help you. Just keep in mind you may have to specifically ask about the Holder Rule since it may not be on the radar of someone who does not use it much in representing consumers. The post Here is How the Holder Rule Works When You Have a Putrid Loan appeared first on Personal Finance Syndication Network.